< Why do you still watch cartoons? I know everyone hates this movie. But I saw it when I was a very young child and I remember really enjoying it. My dad even took me to see it twice because we walked in a bit late the first time (when Conrad was riding the banister down the stairs) and I think he liked it well enough. I even remember having two book versions of this and I thought it was a very funny interesting take on the story. 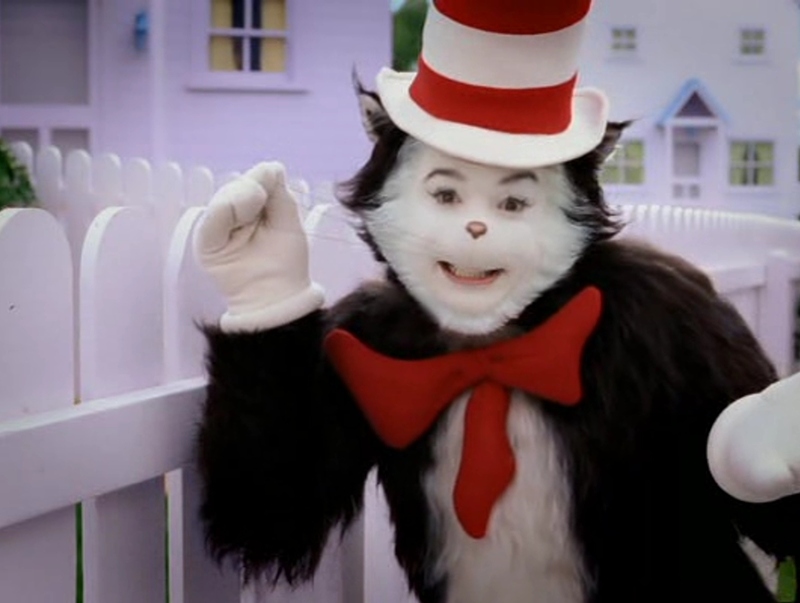 The Cat in the Hat wasn’t a very meaningful story to me (The Lorax was my favorite) and I thought having a live-action version of it was fun. I didn’t like live-action movies at the time but this was an exception just because it helped me transplant myself into the story. I thought Conrad and Sally were very relatable in terms of me and my own sister. 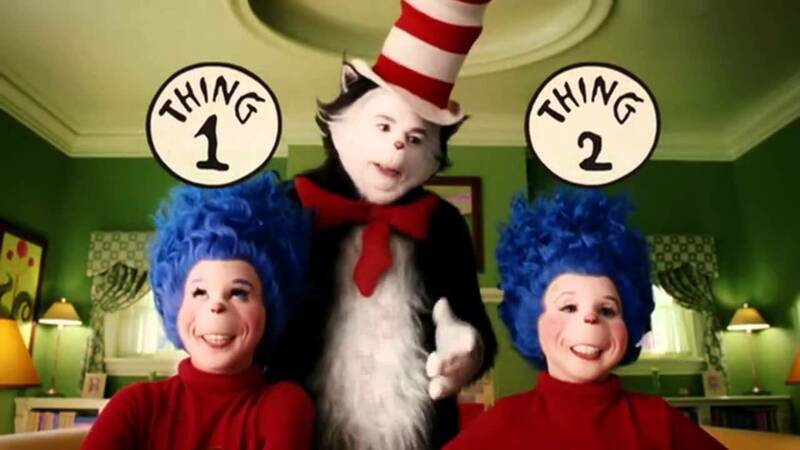 I especially liked Conrad’s “Why do I always do the opposite?” and how that was represented with Thing 1 and Thing 2, who were very fun creations. The way they made it a traditional story with the dog they had to get back I thought was very creative. The Fish: Children, this cat is currently in violation of… seventeen of your mother’s rules! The Cat: Hello, City Morgue! 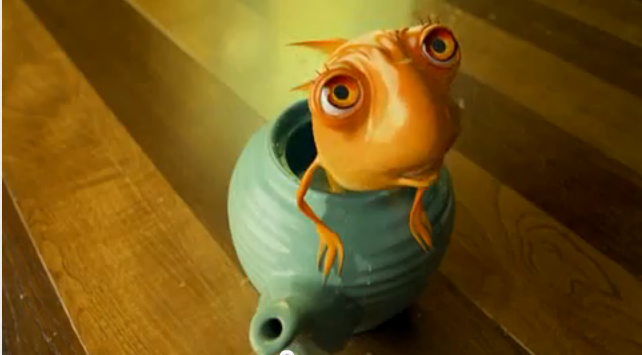 The Fish: [losing it] Eighteen! This was actually co-written by a Seinfeld writer and I think that shows. It did at least have the sweet ending where the Cat cleans up everything in time. I don’t know, it’s just the library had a computer game version of the book we could play, and watching a big-screen movie version of it, especially one as unrestrained and wild as this, was so much fun for me at the time. 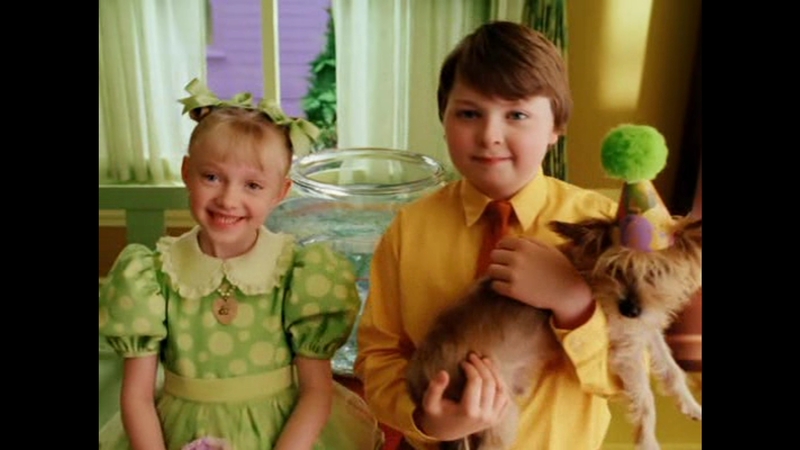 But then I didn’t even notice the message of The Lorax until I was about 8. The Cat in the Hat, to me, didn’t have a good message in the first place. The Cat was just as weird and creepy there as he was here. Mike Myers just played it up. The original book was actually mostly just an experiment by Dr. Seuss to see how he could construct a story with all the list of basic words he had prepared to teach children. My thinking was: I already knew how to read when the movie came out, so why not have fun with the story now? I’m scared to revisit it now because I haven’t seen it basically since it came out and I didn’t even realize it was so universally hated for years and years. And that shocked me when I did find out, especially that Dr. Seuss’s widow refused to let any more live-action movies be based on her husband’s works because of this! It just reminded me I never have one clue what goes through other people’s minds when they watch or read something. (The positive reception for Water for Elephants and Kung Fu Panda 2, and the negative reviews for The Casual Vacancy still make no sense to me.) It was like the Troper Tales on TV Tropes. I loved those, they were funny and fascinating to read, and then suddenly everyone was saying they were creepy and they were disposed of it entirely. I don’t get it. It’s like the complete reversal of opinions between Doug Walker and Confused Matthew on Moulin Rouge. Sometimes I wish something could be around just for me and no one else could read/watch it if they’re just going to declare that it needs to be disposed of and it can never happen again. I still miss Troper Tales and it makes me feel horrible that no one seems to agree with me. It didn’t make me a bad person reading Troper Tales, and it didn’t make me a bad person or harm me watching this movie when I was less than 8 years old. My sister said Twilight was made specifically for her. Can’t they keep these things around just for me? I knew there would be someone who would like this movie. I have to believe if you saw it again it wouldn’t be your cup of tea. They are so mean to Mrs Kwan and it is really just 82 minutes of chaos destroying things. The plotline with the boyfriend and Mom at work are cringeworthy. The jokes aren’t funny to me at least even the one’s you cite (sorry but humor is super subjective). It is definitely one of my worst movies ever and I don’t blame Mrs Seuss for saying ‘enough is enough. No more Suess movies” after this. That said, if you like it still that’s great too. It has a 10% on rotten tomatoes. That means 1/10 critics gave it a 3 or higher. You are one of those 1/10. 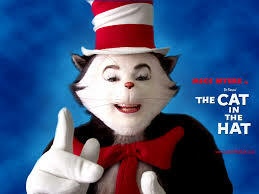 As I said in the review I agree that there is not enough material in the Cat in the Hat for a movie. It was a very silly enterprise. The Lorax at least has a narrative. The Cat in the Hat is about the cat making a mess and then cleaning it up. That’s not enough for a movie. 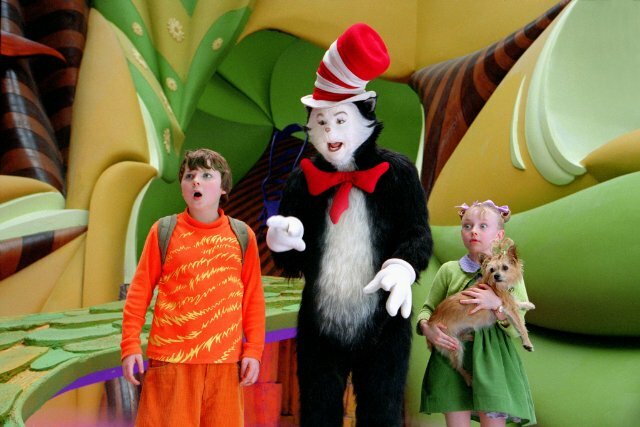 But like I said in the review what I think the creators missed the mark on the most was the whole point of Cat in the Hat is the kids aren’t having fun so Cat introduces them to fun. That doesn’t mean chaos. They confused the randomness of a childs playtime with chaos. And that’s not entertaining for most kids to just have things screaming at each other, making messes and jokes they don’t understand. And it’s even worse for most adults. You can have nonsense like in Alice in Wonderland but that’s not the same as just flinging things at the wall and shoving people down slides and screaming all the lines. Alice in Wonderland is random but not chaotic except perhaps in moments (some parts are quite sedate). I’ve certainly had those things I love that got cancelled and wish they could stay around just for me. Last season there was a show called A to Z which I thought was so wonderful but it got cancelled. Sigh…At least still lots of great stuff endures. Anyway, if it bothers you a lot than perhaps reading these types of reviews isn’t for you? You are never going to find a critic who agrees with you on everything. I have a friend who hates reading reviews, even mine, because “she likes what she likes” and that’s fine. This is certainly not required reading. I try to not be too over the top in even my F reviews like a Confused Matthew or a Nostalgia Critic (I’m not nearly witty enough to pull that off). I’ve only done I think 8 of them so they are rare but I wanted to do this series because I feel all of the Seuss films have been so bad and he deserves better (or to be left alone!). Horton Hears a Who is tolerable but still not very good. I will leave that one out for the moment. Sometime probably closer to Christmas I will do The Grinch. Groan…It’s so awful IMO. Thanks always for providing your alternative point of view. This movie was way too crude for me to enjoy even a little. Not to mention, that it’s just a horribly made movie too. Yep. Couldnt agree more. They had nothing so they took Myers crude humor in Shrek and pushed it 1000% and it really is quite shocking and uncomfortable. I think when Paris Hilton shows up at a rave in a children’s movie you know they are out of ideas. 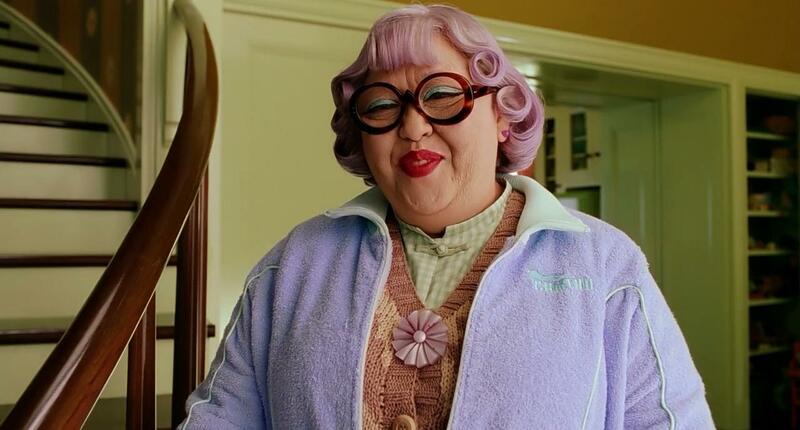 Also I thought the treatment of Mrs Kwan was kind mean and a little racist. 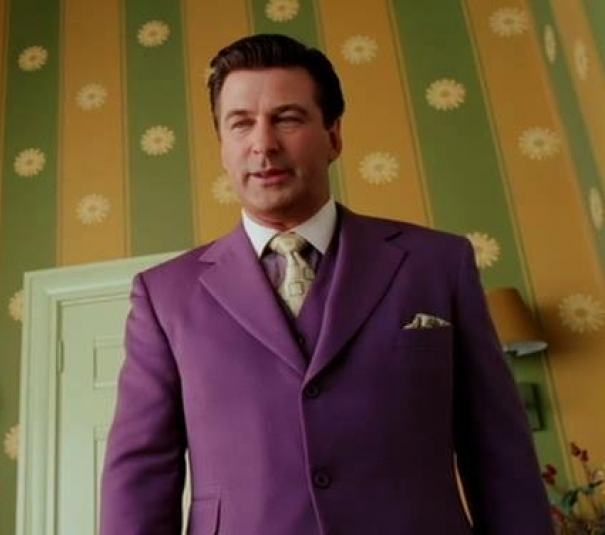 I don’t really remember the Mrs. Kwan part of the movie. Did you watch it when it came out? 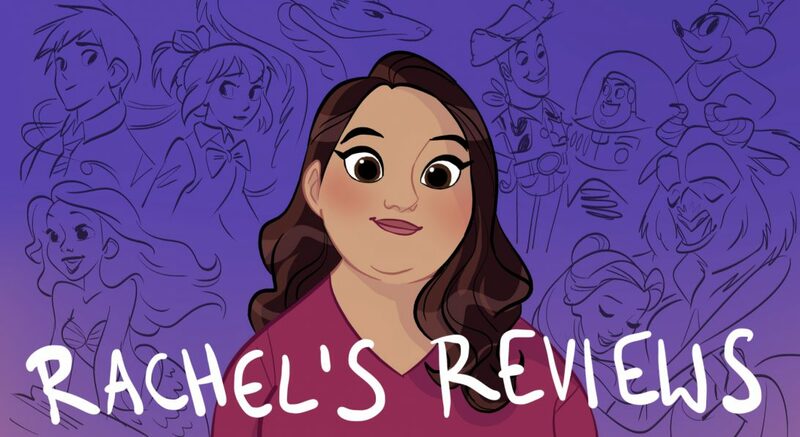 I have to admit, like Rachel, I just don’t get your tastes because this is about the level of quality as some of the stuff on your Top Animated Films I Like That Everyone Else Hates, like We’re Back! A Dinosaur’s Story. I think We’re Back is more watchable than this. Not good but better than this. We all like different stuff and are puzzled by the tastes of others on occasion. That’s what makes this whole blogging thing fun is hearing different perspectives out. Oh and I was actually on my mission when it came out but it was so notorious I thought “it cant be that bad”. Even with such super low expectations I hated it. Yeah, I saw it about a few months after it came out. And lol, yeah, I guess I just like what I like. Although I do admit that the films I have on that list are not by any means, amazing masterpieces. On another note I loved your lymerick on the 100 ep podcast! So fun! Thanks! I’m glad you (and others) liked it. I had fun making it! I didn’t listen to the podcast yet, so I hope Morgan, Mason, and Chelsea liked it. Yeah, I just finished listening to it 😀 ! Darn, I’ve dug a hole for myself now, lol.